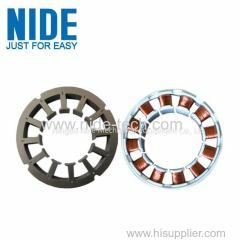 this are two types of stator production line, one is assembly line, the other is stand-alone machines. 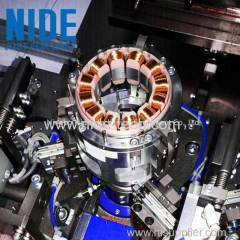 1.It's used for multi-pole BLDC stator winding. 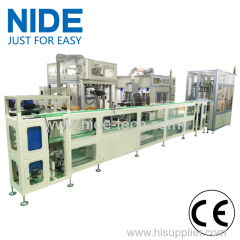 Consists of paper inserting machine, end insulation board inserting machine, needle winding machine, stator tester, tracing system and belt conveyor. 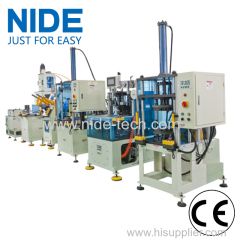 This production line is suitable for brushless motor stator production. 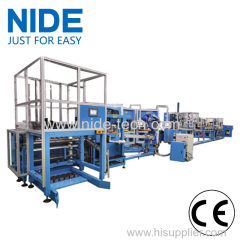 This stator manufacturing machine are stand-alone machines, used for stator production. 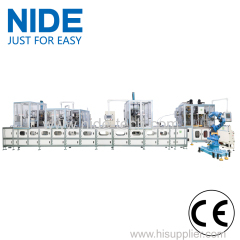 It is consisted of coil winding machine, lacing machine etc. 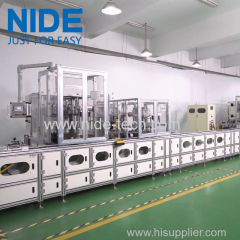 Nide can supply full package of motor stator automatic production machine or line for different motor types, like BLDC, pump motor, car motor and ect. 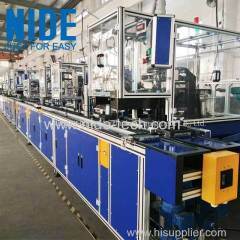 This stator automatic production assembly line is consisted of many machines and connected with each other by conveyor and mechanical arm. We produce stator manufacturing machines, like stator coil winding machine,coil inserting machine, stator lacing machine,stator forming machine. Group of Stator automatic production line has been presented above, want more	Stator automatic production line and stator production machine, Please Contact Us.